Nintendo always likes to recall classic games, and that's exactly what we got during today's Nintendo Direct. 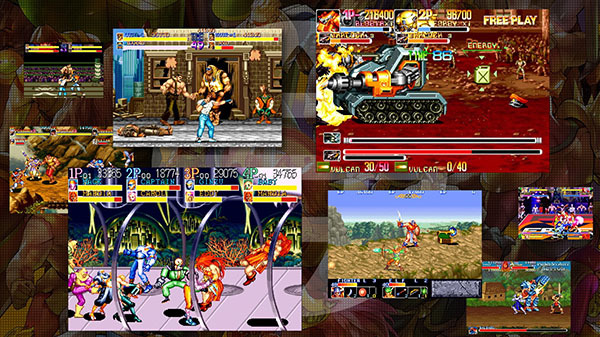 Final Fight, The King of Dragons, Captain Commando, the Knights of the Round, Warriors of Destiny, Armored Warriors and Battle Circuit make a comeback on Nintendo Switch with this collection, titled Capcom Beat Em Up Bundle. This is sure to drag on nostalgia and remind you of simpler times. With the switch being so attractive to younger players, this collection is a great way for the younger generation to experience the old beat-up classics from back in the day. 8th in North America and Europe, with the Japanese release on September 20th. Nintendo also announced that you will be able to purchase this title later today. There is no word on a physical release at this time.